The NSW Legislative Council consists of 42 members serving eight year staggered terms. Twenty one members face election every four years and that will be the case for 2019's State Election. Members are elected from a state-wide electorate via quota preferential voting. The quota for election is 4.55% of the state vote. Constitutional restrictions mean that for parties to have a group voting square above the line, they are required to stand 15 candidates. Voters have two ways of voting. You can give preferences for parties 'above the line'. If you use only a single '1', your vote will only apply to the candidates of your selected party. Voters can choose to direct preferences to other parties by numbering preferences above the line '2', '3' etc up to 21, which in 2015 is the number of group voting squares on the ballot paper. You can vote for candidates below the line, as long as the vote has at least 15 preferences. You can vote for candidates from any group or one group, and you can continue to number beyond 15 to as many as 394, the number of candidates on the ballot paper. Above the line votes for parties are imputed to be an ordered list of preferences for the candidates of each party as printed on the ballot paper, in the order that the voter preferenced the parties. So a single '1' above the line followed by optional preferences is formal. 15 preferences below the line followed by optional further preference is formal. The more preferences you fill in, the less likely your ballot paper will run out of preferences and more likely your ballot will stay 'live' in the count. Since the new was introduced at the 2003 election, only about 20% of ballot papers have used the new above the line preference option. As a result, during the distribution of preferences, 80-85% of ballot papers 'exhaust' their preferences. This means the final vacancies at each election are usually filled by candidates with less than a quota of votes. A party will be likely to win a seat if it gets half a quota on first preferences, around 2-2.5% of the vote. The Shooters and Fishers won the final seat in 2003 having polled 2.1%. Pauline Hanson missed out in 2011 having polled 2.5%, her defeat coming about because she attracted very few preferences. In accordance with Section 87 (2) (d) of the Electoral Act 2017, in the event of a Legislative Council group having less than 15 candidates due to the death of a candidate or candidates in their group, and a voter has recorded a ‘1’ only in the group voting square for that group, a second preference is taken to be recorded for the second preference group. This is primarily to prevent Legislative Council ballot papers from being informal as electors must vote for at least 15 candidates to cast a formal vote. Candidates Insist Mona Vale, Manly Hospitals To Reopen: "More Economical"
The peninsula has two candidates standing for the Legislative Council (Upper House), married couple Anthony and Sharni Monaghan, who live at Narrabeen and work together at Sharni's firm, Greylings Attorneys, at Mosman. Mr and Mrs Monaghan together are Group H on the Legislative Council ballot paper. "To vote for us, you have to vote below the line," they say. What caused the Monaghans to nominate for election to the Parliament is that Pittwater and the former Warringah Shire are being degraded by the LNP government's actions. "We are fed up with our neighbourhood being sold out by the government," Mr Monaghan says. "We will insist, vigorously, that Mona Vale Hospital reopen. We are very concerned about protecting our forests." The couple's election campaign website is at www.MonaghanMonaghan.com.au. "We've had a good response, but it is a tall order for us to get elected," Mrs Monaghan says. “Many times every day for many different clients we deal with disappointing performances from the NSW Government in many different fields. "Every aspect of dealing with the NSW Government is full of worry, for the professional, and worry and expense for the client. That client could be you. "This LNP administration has been seizing people’s homes at under value. This government muzzles ICAC while selling the Land Titles Office to a group of banks and a developer. Xiaowei was born in China but has spent most of her life in Sydney. She has experienced the downsides of unsustainable systems including overdevelopment and overpopulation: Degraded and polluted natural environments. She has a teaching degree from one of China’s top universities in Beijing and was teaching in Beijing. She worked in Australia for Myer and ANZ before becoming a homemaker and is now raising two children who are now attending local schools on the Northern Beaches. Mike Cottee’s interest in sustainability was awakened while working on a newspaper environmental campaign in Africa in the 1970s. He researched and wrote about a wide range of issues, including the impacts of rapid population growth on nature and society. Back in Sydney, and after four years as a reporter at The Sydney Morning Herald, he spent 16 years in the Public Affairs Branch of Qantas. Mike was a foundation member of Sustainable Australia and stood in Warringah in a past federal election. Mike has two sons and a granddaughter and lives with his wife in Fairlight. 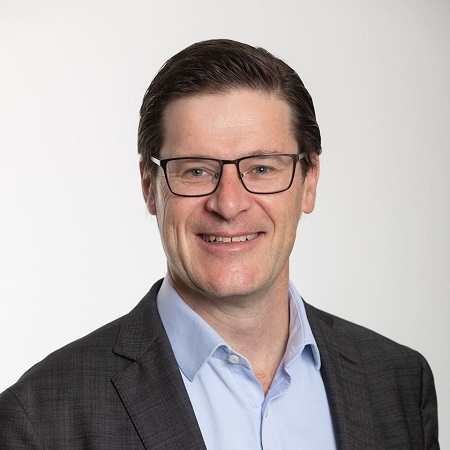 Rob is Minister for Education with the NSW Government, and is responsible for the leadership of teaching and learning across primary, secondary and tertiary education sectors in NSW. He has previously taught students at secondary, undergraduate and postgraduate levels. Rob previously served as Minister for Planning, Minister for Environment, Minister for Heritage, Assistant Minister for Planning, and Minister for the Central Coast. Outside parliament, Rob has been an Honorary Fellow with Macquarie Law School, a director of the Sydney Centre for Innovation in Learning at Duffy’s Forest and an Assessor with the Northern Beaches Branch of Surf Life Saving Australia. Rob has also worked as a solicitor in general commercial practice in Mona Vale and the Sydney CBD. Rob was first elected as the parliamentary representative for Pittwater in 2007, and was re-elected in 2011 and 2015. He holds a double degree in arts and law from Macquarie University, a Masters of Science from the University of Oxford, and a PhD in planning law completed under a Commonwealth scholarship. Outside work, Rob has been an active patroller and competitor at Mona Vale Surf Club for the past 25 years and is an active member of St John’s Church in Mona Vale. Rob and his wife Sophie live in Newport and are busy raising three children. 53 year-old O'Dea is a former solicitor in private and corporate practice who later moved on to work in commercial and financial management. He served as Deputy and Acting Convenor of the Australian Classification Review Board, 2000-04. He was a non-executive director of HCF 1995-2009 and served on North Sydney Council 1991-95. He defeated Liberal MP Andrew Humpherson for Liberal endorsement at the 2007 election. He was re-elected in 2011 and 2015 and was appointed Parliamentary Secretary to the Premier and Treasurer when Gladys Berejiklian became Premier in early 2017.
competencies, qualifications and experience to help deliver crucial services as part of a NSW Liberal-National Government. "My previous experience as a businessman, lawyer, local councillor and statutory officeholder has helped me to understand the important issues facing our society. As a former General Manager and company director, I particularly appreciate the contributions made by businesses despite the challenges they face. Please help me and the NSW Liberals to create positive and effective change in our state." James Griffin was a Director in the Advisory Risk Consulting Practice at KPMG Australia before winning the 2017 Manly by-election. He continues as an Adjunct Lecturer in the School of Business at the University of Notre Dame, Sydney and a Board Member of the University of Sydney Business School Social Innovation Hub. Mr. Griffin served as a Liberal Councillor on Manly Council 2012-16, was Deputy Mayor 2015-2016 and Chairman of the Planning and Strategy Committee 2013-14. I moved to Manly with my family in 1997. From the wonderful walks of North Head to the bustle of Brookvale, the electorate of Manly is a great place, full of good people. It is an honour and privilege for me to represent this area. I am here to support the local business owners, entrepreneurs just starting out, and the young couple looking for their first home. I am here to speak for the grandparents who want to ensure the quality of life they enjoyed is retained for their grandkids. I am here to speak up for the vulnerable and voiceless in our community. Prior to entering Parliament I was a Director of KPMG Australia. I worked in the Risk Consulting Division, helping business leaders understand and manage contemporary risks like cyber security, technology, social and web risks. I also advised organisations on how they could better communicate in this increasingly digital world. Prior to KPMG, I was a co-founder of a digital start up. Co-founding a start-up taught me the realities of small business and what it truly means to ‘have a go’. I am proud of all we achieved and I was recognised for my efforts as NSW’s Young Business Person of the Year in 2012. I studied for my Bachelor of Arts at the University of Notre Dame Sydney. My primary goal is to ensure that every suburb in the electorate of Manly continues to get its fair share. If the people of Manly need something, I will not stop fighting for them. If re-elected, we will do ANOTHER B-Line style rapid bus service from Dee Why to Chatswood. This will alleviate congestion and is a tried and tested road based public transport service. Don’t be fooled - Labor/Greens...have announced NO funding for a Northern Beaches rapid bus system...(or anything else for our community as far as I can see). We want to see buses running every 10 minutes between 6am and 10pm, seven days a week. The service will allow Northern Beaches commuters to link up with Sydney Metro services at Chatswood. This new rapid bus service would build on the over 1,000 additional weekly bus services already introduced to support the opening of the Northern Beaches Hospital. Brad Hazzard is a lifelong resident of the Northern Beaches. He attended Manly West Public School and Manly Boys High School. He has represented Wakehurst in the New South Wales Parliament since he was first elected in 1991. 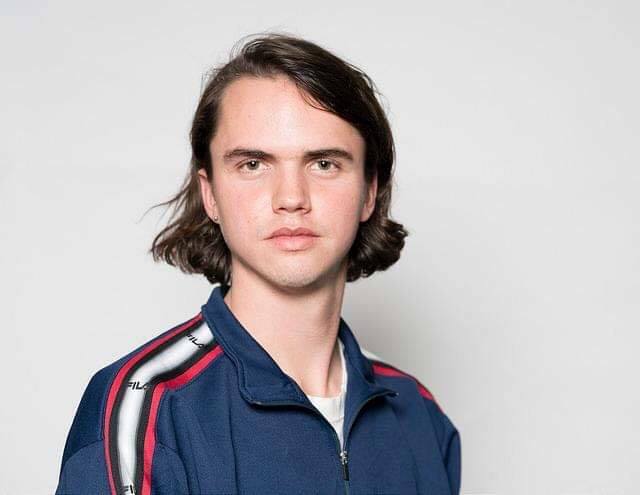 After his school days, Mr. Hazzard graduated from Macquarie University with a Bachelor of Arts (Environmental Science) and a Diploma of Education. His first job as a science teacher was at North Sydney Boys High School, before working as a casual teacher at schools across Sydney. While working as a teacher, he studied Law at the University of New South Wales and later completed a Master of Laws at Sydney University. His legal career started in Bankstown, where he worked for three years, before practising closer to home in Manly. He has two sons, both of whom attended schools on the Northern Beaches. After the March 2011 election, Mr. Hazzard was appointed Minister for Planning and Infrastructure, as well as Minister Assisting the Premier on Infrastructure NSW. He was also Leader of the House (Legislative Assembly) in the O’Farrell Government. In April 2014 he was appointed NSW Attorney General and Minister for Justice in the Baird ministry. After the election in March 2015, Mr. Hazzard was appointed Minister for Family and Community Services and Minister for Social Housing. In January 2017, Mr. Hazzard was appointed Minister for Health and Minister for Medical Research in the Berejiklian ministry. Much of his political career in the New South Wales Parliament has been served on the front bench. Mr. Hazzard held 17 portfolios in opposition, while maintaining a strong local presence in his electorate of Wakehurst. Mr. Hazzard is passionate about the Northern Beaches and wholeheartedly committed to assisting local residents with their requests and special needs. He particularly enjoys working with local youth and continues to maintain close associations with Government, Catholic and Independent schools in the Wakehurst area. Mr. Hazzard has been a member of the NSW Liberal Party since 1983; in that time he’s held a number of executive positions, including ‘Regional President’ and member of the ‘State Executive’. Keeping the NSW budget in surplus, so we can continue to invest record funding in the things that matter most. Ensuring our local communities get their fair share of our strong economy. Creating more than 565,000 jobs in NSW. Providing the services our community needs to make day-to-day life easier. Doubling the Active Kids voucher to two $100 vouchers to reduce the cost of living. Lowering energy bills by providing solar and battery systems for 300,000 households with no-interest loans and no up-front costs. Delivering record health funding, so there is help at hand when you need it most. Completed over 100 new and upgraded hospitals and health facilities, with another 100 projects underway. 8,300 frontline staff, including doctors, allied health and other professionals will be added to the workforce. Every public primary school student in NSW can access before and after school care from 7am to 6pm. Jared Turkington lives locally in Newport. Having attended Northern Beaches Christian School and as a University of Technology student, Jared understands the importance of delivering a quality education in our area. Jared will work to make Pittwater an even better place to live and work. "The Liberals have taken our area for granted. Jared will fight to invest in schools, hospitals and community services instead of splurging $2.2 billion on Ms Berejiklian’s stadium rebuild." Jared will "fight to make sure our community gets our fair share. " Ease the cost of living for local families by putting downward pressure on electricity prices. Chris Sharpe lives in Beacon Hill with his wife, Tricia. Chris grew up on the Northern Beaches and has been active in the community. He is a regular with the Manly Meals on Wheels program and volunteering with the Cerebral Palsy Alliance. Chris knows our area and will fight to make it an even better place to live, work and raise a family. Chris works in the Information and Communications Technology industry and has a degree in Business and a Masters in Business Administration. Chris understands the pressures small businesses face and will support small business in the local community. Natasha Phillips-Mason called Manly home for over 20 years before settling in Seaforth. Natasha previously worked as an Operations Manager at the Sydney Opera House, worked in consultancy and has been a small business owner in Manly. Natasha understands the pressures small businesses face and will support small business in the local community. Living on one of the most pristine coastlines, Natasha believes its beauty should be protected. Natasha understands the importance of delivering a quality education in our area so kids can have the best start in life and easing the cost of living for local families. Natasha will fight to invest in schools, hospitals and community services instead of splurging $2.2 billion on Ms Berejiklian’s stadium rebuild. I first visited Pittwater in 1980 with my then boyfriend – now husband - to visit his family, who had moved to Avalon in the 60s. We both studied and worked at the ANU in Canberra, then overseas, before returning to the northern beaches 25 years ago. Making our way up the peninsula, we arrived back in Avalon in 2005. Our kids went to local schools, where I spent more than 15 years on local P&Cs – raising money and lobbying the government for education funding. I’m also a journalist with experience working in Sydney and London, and have covered everything from police to the prime minister. Before turning to journalism, I did research in population studies and Aboriginal health. I’m standing for the Greens in Pittwater because I passionately believe in the importance of a strong community and that we must protect our environment for the future. One of my top priorities will be sorting out our local hospitals. I’m already fighting to have emergency and other acute services restored to Mona Vale Hospital. I helped arrange a community meeting last year after what the NSW government planned for Mona Vale Hospital became clear. Since then the Save Mona Vale Hospital committee has been re-instated and I do all media for it. We are now seeing the outcome of privatisation – with acute services at two hospitals closed down to benefit Healthscope, the private operator at Northern Beaches Hospital. Healthscope hasn’t paid tax in Australia for four years despite an income of $8.7 billion. The hospital is about to be taken over by another operator Brookfield, who also doesn’t pay tax here despite substantial infrastructure interests in Australia and an income of $6.9 billion. The new hospital, which we all know is dysfunctional, is simply too far away for thousands of emergencies - so we must have acute services restored at Mona Vale. The Greens have already moved a motion in parliament in support of emergency, surgery, maternity and other acute services at Mona Vale Hospital. We also believe hospitals should be close to the people they serve, public, and if privatised, returned wherever possible to public hands. As a founding member of Protect Pittwater, I’m actively campaigning for Pittwater Council to be restored. I believe it’s outrageous that although 89 per cent of Pittwater residents wanted to keep our council, the Coalition government merged it anyway and removed planning controls from the local community. Since then, we’ve seen a decrease in services, loss of local decision-making powers and unnecessary spending. The Greens have already voted for a demerger plebiscite in Parliament and I will continue to fight for this. Our low-rise villages, bushland and wildlife are also under threat from the Coalition’s planning regime - with approvals taken out of the hands of locals and the imposition of “priority precincts” at Ingleside and Frenchs Forest. The Greens want a Royal Commission into planning in NSW and to re-write planning laws to give residents a greater say. At the moment, our planning laws don’t even mention climate change – despite Pittwater’s vulnerability to sea level rise. We want to ensure planning laws take climate change into account, protect the local environment and create a healthy community. Anyone who lives in or visits Pittwater is struck by the beauty of our trees and coastline. In fact, Pittwater is one of the state’s biodiversity hot spots and our stunning environment makes it one of Sydney’s major tourist attractions. None of us want high-rise in Pittwater and our geography with its limited access to the area makes it inappropriate. The Greens believe we must do more to protect our trees and coastline from overdevelopment. At a local level, our tree cover is also our best defence against climate change. I’m sick of hearing chainsaws and seeing new gaps appearing in the canopy. So the Greens will set enforceable tree canopy targets for all metro areas and ensure that residents must have approval to removes trees under the Liberals 10/50 tree clearing laws – which have proved a bonanza for developers. But nature is under attack throughout NSW, with land clearing and deforestation, koalas on the brink of extinction and climate change threatening biodiversity. To combat this, the Greens plan an overhaul of the state’s environment laws and want to spend $4 billion over the next four years on biodiversity conservation. The Northern Beaches is also threatened by gas exploration carried out with seismic testing off our coastline. This presents a serious risk to whales, fish and other marine life. The Greens will introduce legislation to prevent gas drilled off our coast from being processed anywhere in the state. We also want to establish a series of marine parks including one in Sydney to conserve and safeguard our coastal environment for future generations. With Friday’s school climate strike, we have seen the fears young people hold for the future of our environment due to climate change. We will all benefit from moving to renewable energy and must act now to hand the next generation a sustainable future. The major parties are holding NSW back, because they’re in the sway of fossil fuel companies. The Greens do not accept corporate donations and will create a renewable economy that tackles climate change, creates jobs, makes bills cheaper and energy more reliable. To do this, The Greens will commit $1 billion to renewable energy projects and set up a publicly-owned electricity company to generate, distribute and retail renewable energy for all NSW residents, fairly and affordably. We will also make it illegal to mine, burn or export thermal coal by 2030 as well as bring back a carbon price for industries that release greenhouse gasses - to achieve net zero emissions by 2040. If you vote Green, you can preference anyone you like. Our suggested preferences are decided on closeness of a candidates’ platform to our own – not just one issue. We have also given candidates who are not preferencing a lower ranking, so that our votes don’t just die. But I’m also mindful of SOCC’s call to put the Liberals last and support voters who want to do that. Finally, grassroots democracy is one of the Greens’ guiding principles so I’m committed to consulting with the community when making decisions. I will use my skills as a journalist to listen to residents, investigate and report back from Parliament. I’m also determined to hold the government to account – whether Liberal or Labor. That way, we can ensure Pittwater is never taken for granted again and build a future together. Felicity Davis contested neighbouring Pittwater at the 2015 state election and she has volunteered in bush regeneration, for Neighbour Aid. A passionate climate change and renewable energy campaigner who started the local Knitting Nannas and Stop Adani Pittwater groups. "I’ve lived in the northern suburbs of Sydney for many years including the last 25 at Bayview. My husband John and I ran a local educational filmmaking business for over two decades. During that time, I also volunteered in bush regeneration, for Neighbour Aid and the Knitting Nannas. In the 1990s, John and I realised what a huge impact global warming would have on all our lives. It’s the biggest issue the world has ever faced. If we lose the environment, we have no economy. John and I joined The Greens in 2010 to campaign for climate action, and in the past have both run as candidates: John in Davidson and me in Pittwater. Losing John in a helicopter crash whilst he was filming coal mines in 2015 made me even more determined to carry on the fight for renewable energy. I’m worried that this area, like so many others, will badly suffer the effects of climate change with increasing temperatures and risk of catastrophic bushfires. We must consider climate change in every aspect of life, including protecting our tree canopy, appropriate urban design and public transport." The Greens are the only party dedicated to 100 percent renewables by 2030. We need strong representation in the NSW Parliament to pressure the government to act responsibly and transition to renewable energy. We must ensure a clean, green world for future generations. Lilith is 22 years old and has lived on the Northern Beaches all her life. She has spent the last five years studying economics, politics, and sociology. Zaharias has transitioned from Jonathan to Lilith during the election campaign. "After a great deal of soul searching and introspection over the past years and months, I have made the decision to come out as a trans woman. This has been a huge period of transition for me, and I want to thank all the wonderful people in my life who have supported me through thick and thin. I am fortunate and honoured to represent the Greens, a party where I have found so much love and support from people at the highest level. Special mention to Senator Mehreen Faruqi who has been an amazing friend to me throughout this. I'm very excited to sink my teeth into campaigning for this seat as the real me. As a young transgender woman, I look and sound a bit different to all the politicians you’re used to. And honestly, that should be a bit of a relief. I for one am fed up with hearing the same lines regurgitated by the same kinds of people on both sides of politics. The usual suspects are not up to the task. A vote for the Greens at the next election is a vote for real forward-looking policies that aren't just designed for the next opinion poll. A vote for us is a vote for a future for all of us." I am sick of trying to fight against hidden vested interests We have lost our hospital our council our democracy. Our very back yards our wonderful Nature is under threat! Some years ago I joined a fledgling group which is now gaining momentum - Sustainable Australia.and they have endorsed me to stand in Pittwater against Rob Stokes. Suzanne was raised in the western suburbs of Sydney alongside the Hume Highway when it was a two lane country road surrounded by trees, nature and houses with great backyards. Suzanne received one of the first Whitlam scholarships that enabled her to finish high school with a Commonwealth scholarship. She was able to study medicine at the University of NSW. In 1975 Suzanne and her husband travelled extensively throughout Europe and Asia. She was shocked by the density, overcrowding, traffic congestion, pollution and the destruction of nature in the emerging, modern high rise cities back then. It was a relief for her to be able to come back to Sydney in 1976. Upon her return she became a GP and loved it. 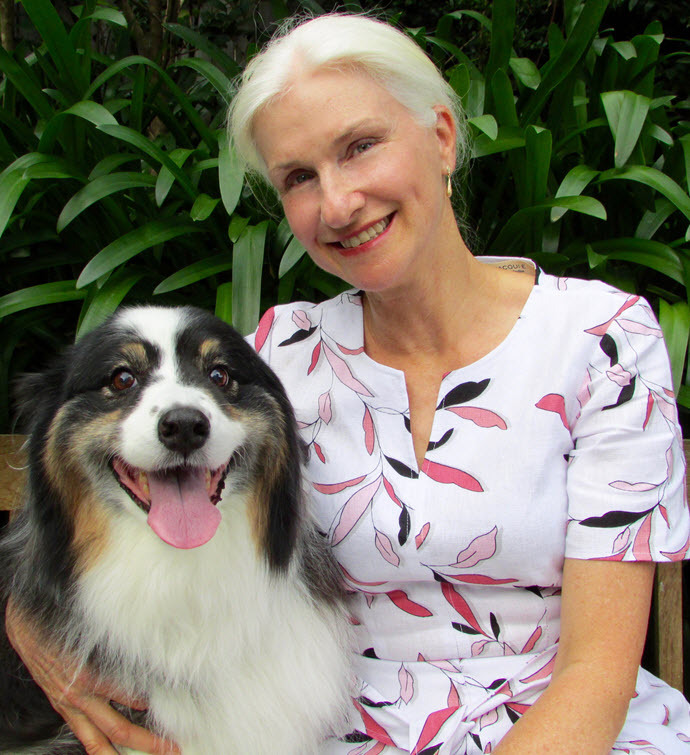 She has now been a family doctor on the Northern Beaches for nearly 40 years. Suzanne was a member of the board of the Manly Warringah Division of GP's for 17 years, until it was amalgamated with the Northern Sydney Network. Suzanne was the driving force behind the implementation of some innovative ideas with the community and the Department of Health. She has trained in counselling and has a Diploma of Clinical Hypnosis. 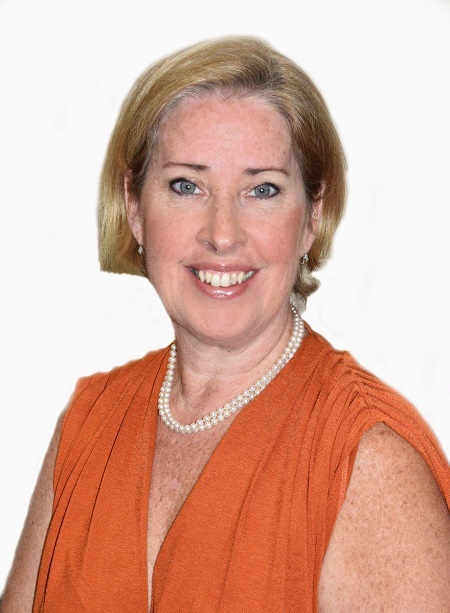 Suzanne believes in positive psychology and being proactive. 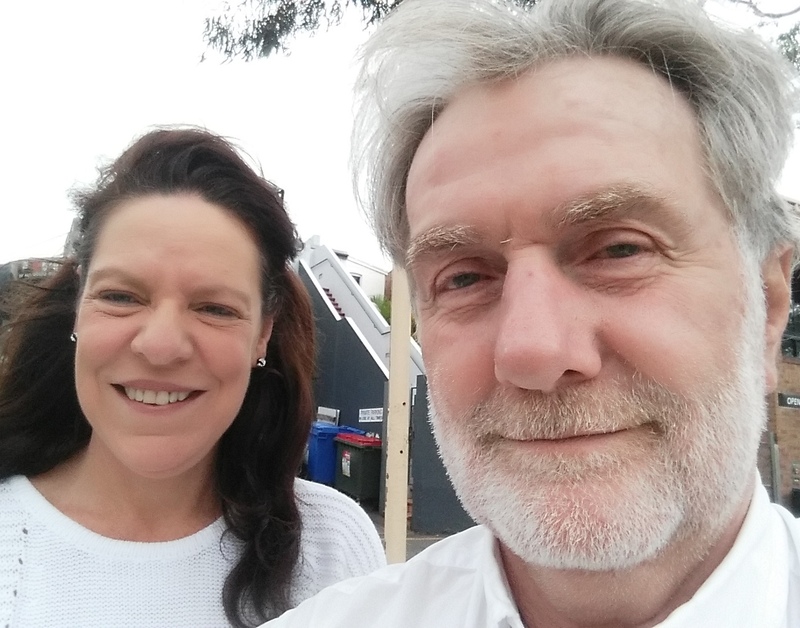 She was attracted to Sustainable Australia Party which has positive solutions to what seem like unsolvable problems that are causing widespread stress and distress. The Pittwater electorate has lost its local hospital, its local council and its democracy. Suzanne wants to give the people in her community that are disillusioned with the established political parties another option. Steve was born and raised in Sydney. He attended Barker College in Hornsby and University of Sydney. Steve has travelled all over Europe, America, and Asia. He then found his real passion, running businesses and being a role model for young aspiring entrepreneurs. He has strong interpersonal and public communication skills and published the book "How Apps are Changing the World". Steve represented Australia for 'Creative AllStars' in Kuala Lumpur, Malaysia, speaking to the audience of 1000 people about innovation and business. He has spoken at UNSW, UTS, USYD, Macquarie University and various marketing conferences. During his career, Steve has consulted with large corporations and small start-ups and everyone in-between. He commits 100% and works extremely hard with focus to make sure everything is done to the best of his ability and help grow the team to new heights. Emanuele works in the not for profit sector and has a commercial background in financial services. He created enterprises in sustainable technologies and investment, in financial services recruitment and most recently in property maintenance. He is passionate about the Party’s values and sees population as the "mother of all our problems". He sees a myriad of opportunities for improving life quality from better planning and a diverse, future-oriented economy. He has lived on Sydney's northern beaches for most of his life, as well as in more densely populated Asian countries e.g. China, Indonesia, Japan and Taiwan. He has an MBA as well as an Economics degree. Greg has lived on the Northern Beaches of Sydney for the last 35 years. Passionate about political integrity and democratic values he believes that politicians should listen more to the local community. He is particularly concerned about the impact excessive population growth has had on the local area and Australia in general. Overdevelopment causing overcrowding and excessive strain on public services and infrastructure needs urgent attention and political change. Running as a candidate in Wakehurst gives local constituents the opportunity to send a clear message to government, “We want to be heard and we want our political representatives to act in our best interest”. Will work to "Return Mona Vale Hospital to previous operating level with future ongoing upgrades. Reinstate Pittwater Council and lower council rates." Pittwater has been a safe liberal seat for too long, it’s time we became Conservative. The Liberals have not only lost their way, they’ve lost the map with it and that’s a real concern for Pittwater. Our Liberal MP’s have campaigned on saving our local hospital, they didn’t. 89% of the constituency voted against losing Pittwater Council for planned amalgamation with 3 other Councils – we were merged with 2 others and that was supposed to be a win?! We’re becoming more and more over populated with infrastructure that doesn’t meet the current population requirements – put simply we’re ignored and it’s time we sent a strong message and became a marginal seat. Politician’s today have lost the very essence of integrity, they forget they work for us, they are elected to Parliament to represent our views, our wants, our needs but sadly, in a safe seat such as ours, we haven’t mattered for some time and the Hospital and Council is testament to that. Pittwater is unique and having grown up in Warriewood since I was 2, and now married with two sons, I chose to stay in Warriewood but having seen so much change which continues to evolve with more land parcels opening up, delivering more traffic chaos, our schools are filling up and finally, on the eve of an election the Liberals announce one of our main roads is gaining an upgrade – why has this taken 12+ years when we’re at gridlock to be heard? As a marketing executive whom travels Mona Vale Road every day, a) to drop my eldest at School and b) to commute to work in Seven Hills the stretch of road at Ingleside can be the difference between driving for 40 mins or an hour and 40 mins. Why did the Liberals allow it to get to this? But now, a great PR stunt to announce it, assuming us, the voters, are stupid and will again follow along and vote Liberal. “Not this time”, is all I’m hearing. I was once a Liberal voter, having joined the Liberal Party when I was 19, I once worked as an electorate officer for Bronwyn Bishop in my mid 20’s but in 2016 I resigned my membership because factionalism was the key driver in this Party including installing MP’s into Seats that didn’t necessarily have any affiliation with locality and democracy was taken away. I then became a founding member of the Australian Conservatives as did many grassroot liberals, with a strong base in Mackellar of approx. 500 members. 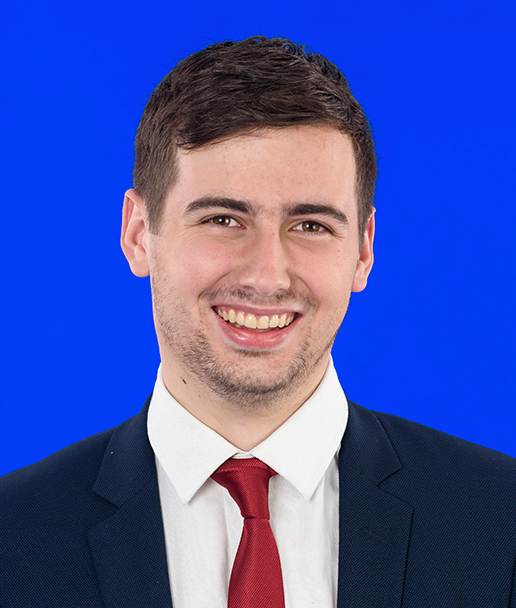 A vote for me representing Australian Conservatives will bring the common sense back to Parliament, we don’t believe that bigger councils are better, in fact it’s proven that they lose their ability to communicate at the local level and respond to our needs. If elected we would support the community in having Pittwater Council returned, “if it ain’t broke don’t fix it”. We recognise the LEP’s are not the same along the beaches hence we need to retain our uniqueness not fill it with more development/high-rise and remove our cherished open spaces. I have spoken to many at Surf Life Saving Clubs and even some local surfers who struggle to catch a wave at their own local beach as they’re flooded with visitors from other locations, how is this fair for our locals? I will force an enquiry into our Hospital fiasco. The decision to close a Hospital we have relied upon for over 50 years was another poor one. Again, with poor infrastructure and lack of Ambulance’s (given the station is only at Narrabeen how can a resident of Palm Beach survive a critical incident awaiting an Ambulance from Narrabeen, Avalon station isn’t manned around the clock…so it’s irrelevant how well our Paramedics are trained if we can’t get them to the patient timely. Why would this State Government provide $m’s to renovate/ upgrade Liverpool/Lidcombe Hospital but tear down our Hospital that has successfully serviced 53,000 people of all walks of life – we won’t be sending children under 12 elsewhere! It must be maintained as a Level 3 fully functional Hospital. Lastly, we need a review of all planning and infrastructure – does it meet the current population? NO! Hence we must halt any more planned development works, halt any more population increases to the Beaches and do the right planning to meet the needs. 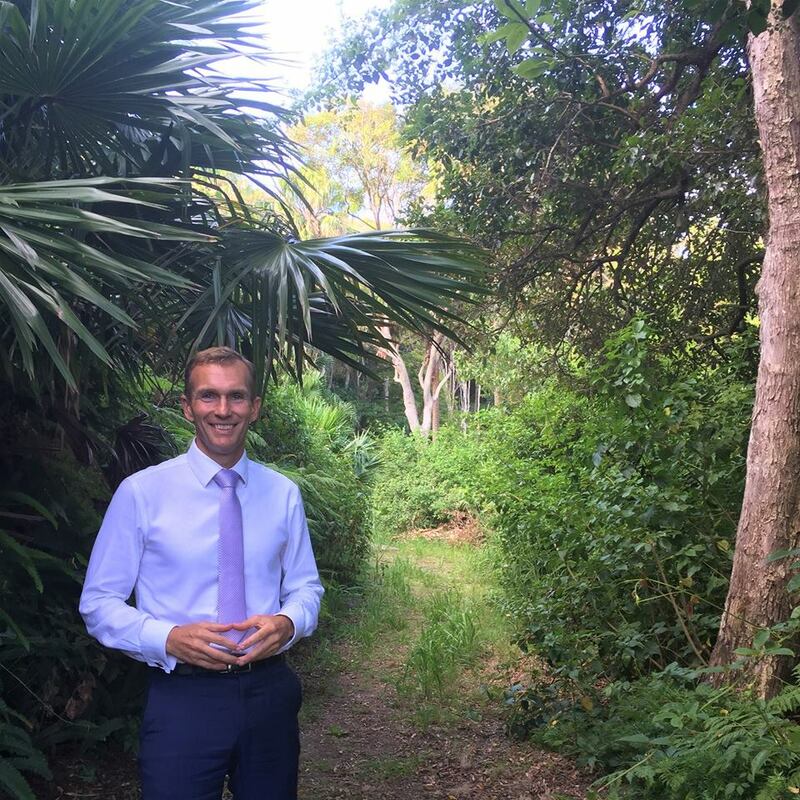 Widen Narrabeen Bridge for a start, widen Wakehurst Parkway and make sure we have a bridge that allows the road to stay open – even in a storm – stop more development until we can get our children to school timely, to sport on a weekend. I remember when a trip to Brookvale took twenty minutes… now it’s triple that due to Gridlock. Kate has been selected to represent the AJP in the NSW Legislative Assembly Election 2019 in the electorate of Manly. 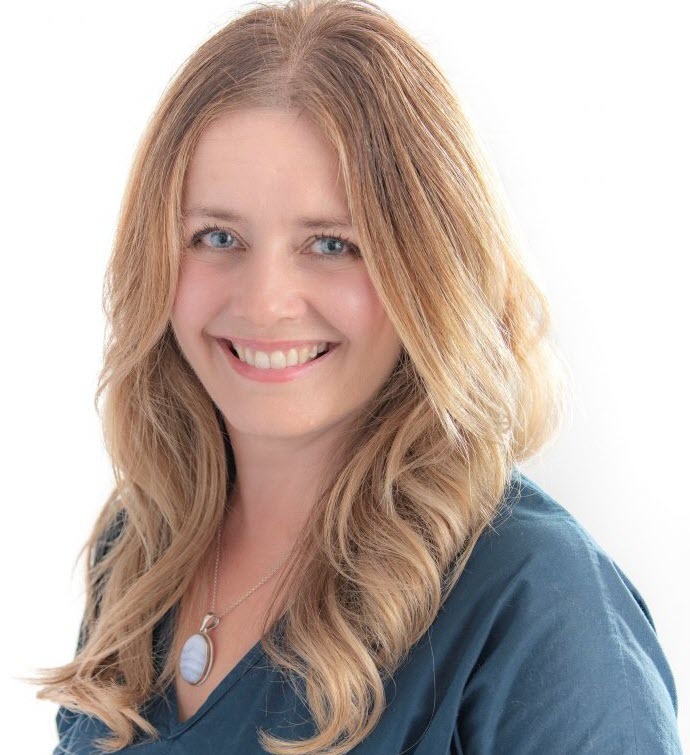 She is a local mum of three children, a Registered Nurse/Midwife and has resided in the Manly area for 20 years. 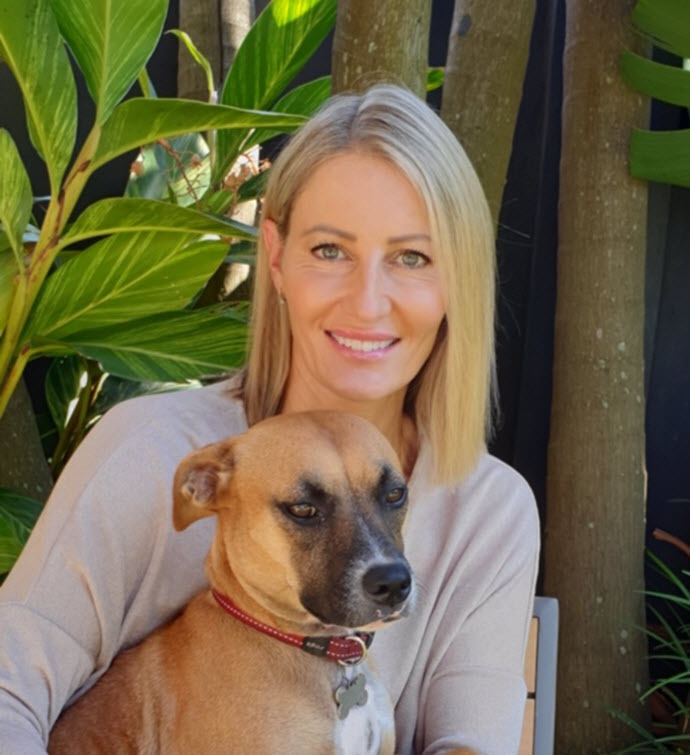 Kate is aware that the Northern Beaches is a community which cares about the environment and animals, which is evident in the rising popularity of plant based eating and environmentally conscious lifestyles. Kate is a member of the local branch of the AJP and has been a member of the party for six years. She was a candidate for Manly in the last State Election in 2015. Kate was inspired to join the AJP due to her concerns surrounding the lack of animal protection laws by the major political parties. She has been a long-time supporter of many animal welfare groups and has been involved in helping rehome rescue animals as well as having her own. The Manly Area is an incredibly unique and diverse area with beautiful beaches, a national park, an aquatic reserve at Cabbage Tree bay and Manly Dam with its pristine bushland and an abundance of native wildlife. Kate is aware of the importance of preserving this natural environment and protecting native animals. Kate was first made aware of the lack of animal protection laws when she witnessed first hand as a ten year old child the procedure known as “mulesling”, which involves cutting flaps of skin around a sheeps rump and tail, all without pain relief. This common practice shockingly still continues to be legal in Australia forty years later. Kate also learnt a decade ago about the intensive agricultural farming practices involving pigs, including “sow stalls” that most mother pigs are kept in. The sow stalls consist of a small metal crate, too small for the pigs to even turn around in. This farming practice along with medical procedures carried out without anaesthetic remains alive and well and legal in Australian piggeries. The AJP plays a crucial role in promoting awareness about such cruel practices. Kate believes grass roots campaigning and informing the local community of how the vast majority of farmed animals live in Australia will enact change and create higher welfare for farmed animals through legislation. The AJP allows voters the certainty that animals, whether they are companion, farmed or wild are recognised for the sentient beings they are and are granted higher welfare. Her other personal interests in animal welfare is the amount of healthy dogs and puppies that are euthanised every year as there is just not enough homes for shelter animals. She is acutely aware of the need to encourage people to ‘adopt, not shop’ to reduce the unnecessary killing of dogs. The latest RSPCA figures puts the number of homeless dogs killed at over 45,000 each year. “Protecting the ocean and marine life from pollution and fishing is critical, and planting more native trees across Wakehurst will create greener spaces for communities,” said Susan. Susan joined the Animal Justice Party in 2017 to advocate for the animals, the environment and our future generations, compelled by the values of the party of Kindness, Equality, Rationality and Non-violence. Supports a safe and vibrant nightlife across NSW. Opposes the lockout laws. Dane has been living in Manly for 8 years. Dane has helped build communities including Manly Entrepreneurs, co-hosting over 100 events for local Startups since 2012, and Burning Manly, an organisation which has run over 100 community beach cleanup gatherings, with live music, at Shelly Beach since 2015.